Happy Passover From World Events And The Bible! Today (April 3rd, 2019, 14th of Abib), during the evening hours will be the time when our Lord and Savior Jesus Christ gave up His Spirit on the Cross and became our Passover Lamb. He did this to fulfill the passover of old and paved the way for our salvation by shedding His Redeeming Blood for us. After the sun sets we begin the new Hebrew day which is the 15th of Abib. This was the night when the death angel came through the land of Egypt, and only those with the blood of the lamb were spared from death. Today, we are spared from death by the Redeeming Blood of Jesus Christ. We will take Communion to honor His sacrifice for us as blood sacrifice has been done away with. If you are not familiar with Passover or need a refresher, we encourage you to read our Bible study titled, “Jesus Christ Became Our Passover Lamb”. We have also provided you with a calendar and additional details concerning Passover. What Do I Need To Celebrate Passover? Our Lord and Savior Jesus Christ told us what we need in 1 Corinthians 11:23-26. We simply need our Bible to account for the Word’s of Christ, wine and unleavened bread. When we partake of the bread we are doing it in remembrance of Jesus Christ. Remembering His Body that was broken for us, so that through Him we can obtain Redemption. The wine is symbolic for the Redeeming Blood of Christ and without His Blood, there would be no Redemption for us. We partake of the wine to remember Him and honor Him on this very special day. We celebrate Passover and take Communion on this day to honor Christ, to honor the ultimate sacrifice that He paid for us. In the name of the only Lord and Savior, Jesus Christ, amen. Roll the dough out to an 1/8 inch thick. Place the dough on a greased cookie sheet. Score the dough into 1 inch squares. In the first minutes of baking, prick bubbles that may form. Here is the Biblical calendar for this years holy days. The start of the month is found by visually observing the first sliver of the new moon. The first month of the year, Abib is the month when there is ripe barley in the fields. These Holy Day dates are for Israel and regions westward to the International Date Line. This may be Year 6023 After Creation. Date Sunset Moonset Illum. Sun's [Moon's at Sunset] Sun's Visib Visible? What is the basis for that calendar? Why does whoever made it have the Jewish months start at different times than the usual Jewish calendar? I don't see any way to figure out when the month of Abib would start in 2019 based on any of that information. Do you? Fourteen days after the Spring Equinox. What is important to understand is the Hebrew day goes from sunset to sunset. During the evening hours on the 14th of Abib which is the closing moments of the day, the passover lambs were to be killed. At sundown marked the end of the 14th and the beginning of the 15th of Abib. If we travel back in history to the time of Moses you will recall the first Passover where lamb’s blood was placed over the doorposts in order to have death “Pass-over” the home of the Israelites (Exodus 12). When Jesus Christ died on the cross He became the sacrificial Lamb who shed His blood for one and all time, and in so doing He became our Passover (Revelations 5:8-9). We are now saved by His blood which He shed for us (John 3:16). Christ made this statement. We are to break the bread which is symbolic of his body that was broken for us and eat it in remembrance of Him. The wine is symbolic of His blood that was shed in order to wash away our sins. 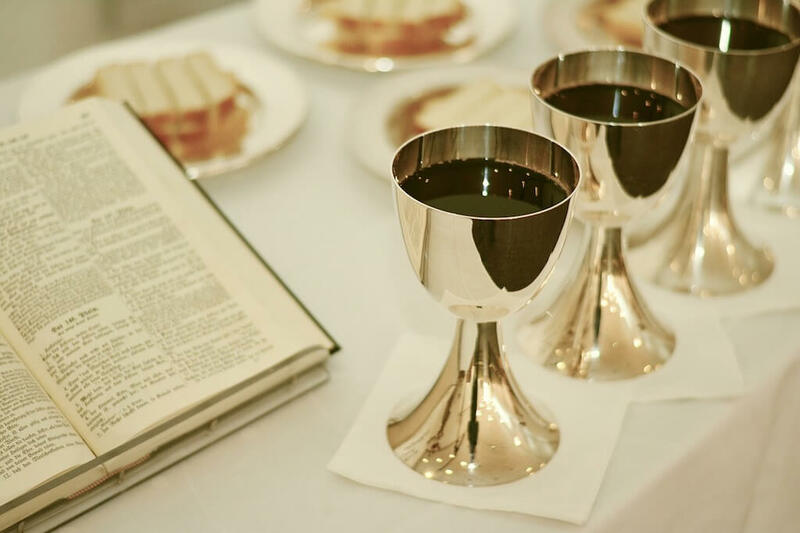 Christ made it extremely clear we are to take the bread and wine in remembrance of Him. This is what Passover is all about. Remembering and honoring Christ for the wondrous act He performed, dying on the cross so that we through Him might be saved. The highest Holy Day in Christianity, Passover is celebrated 15 days after the Spring Equinox (Ref: Exodus 12). Where did the traditions of Easter come from? Nowhere in God’s Word will you find bunnies, eggs, lent or hot cross buns. So why do Christians celebrate Easter and where did the festivities come from? The word Easter itself comes from the Old English word Ēastre or Ēostre referring to the Angelo-Saxon fertility goddess of spring. Easter is a pagan goddess and her celebration always takes place around the Spring Equinox when all life is renewed. Thus getting her title, the fertility goddess of spring. Easter has a multitude of names which span not just time, but many different cultures as well. She is also known as Ashtoreth, Astarte, Ashtaroth, Isis and to the ancient Babylonians as Ishtar (Webster’s New World College Dictionary). Yes, this goddess dates all the way back to Mystery Babylon itself. Is it any wonder? Are your eyebrows raised yet? They should be. All false gods and teachings can be traced back to Mystery Babylon. Ishtar goes by many names, but she is the same, the fertility goddess of spring. Now that we have that documented, does God’s Word mention anything about this goddess? I am glad you asked. They did evil in the sight of the Lord, what evil? They worshipped Baal and Ashtaroth (Easter/Ishtar). This is serious friends. Let us document this further in the next verse. God would divide the 12 tribes because of Israel’s continued pagan worship of false god’s. Ashtoreth the goddess is also documented in: Judges 10:6, I Samuel 7:3-4, I Samuel 12:10, I Samuel 31:10, I Kings 11:5 and II Kings 23:13. I hope you are starting to get the point… We mentioned Easter is also known as the “queen of heaven.” Let us document that as well. Easter is, in fact, the same Ishtar, Ashtoreth, Astarte, Ashtaroth and queen of heaven, she is the fertility goddess of spring! Maybe those hot cross buns are mentioned in the Bible after all… It does not sound like anything God would be proud of though does it? This verse gets it done for us, but I want to go two more to convey the point. Ishtar worship does NOT make God happy, He says it is confusion. Instead of showing God their love, they went after false gods and practices. Just as today, people think the traditions of Easter are pleasing to God, but instead they provoke Him to anger. If you think the celebrations of Easter made God happy then re-read this verse. He is disgusted by it. How sad to think the Highest Holy Day in Christianity, Passover has been replaced with the pagan festival of Easter which is embraced by people calling themselves Christians. Now let us take a look at some of the symbols of Easter. The rabbit and egg have been used for millennia as symbols of fertility. The rabbit is known for its ability to quickly reproduce, the egg is obviously a fertility symbol. Thus the two have been used in association with Ishtar the fertility goddess during Spring when all things are renewed. Now a quote concerning eggs. “Eggs were hung up in the Egyptian temples. Bunsen calls attention to the mundane egg, the emblem of generative life, proceeding from the mouth of the great god of Egypt. The mystic egg of Babylon, hatching the Venus Ishtar, fell from heaven to the Euphrates. Dyed eggs were sacred Easter offerings in Egypt, as they are still in China and Europe. Easter, or spring, was the season of birth, terrestrial and celestial.” – Egyptian Belief and Modern Thought, James Bonwick, pp. 211-212. The Easter egg or better said, the Ishtar egg goes all the way back to Mystery Babylon. How deplorable! This deception has been with us basically since the beginning and has been with mainstream Christianity for some time now. It is worth noting, Ishtar fell from heaven to the Euphrates River. Satan will soon be cast from Heaven to earth (Revelation 12:7-9) while there are four evil angels bound that will be loosened from the Euphrates River. (Revelation 9:14-15)… A lot of symbology is it not? If you have bought into the deception of Easter, how will you ever be able to stand against the deception of Satan when he plays the role of Antichrist? What has been will be again. We see that with Ishtar, how she has been handed down through the generations given a different name, but she is the same old goddess. Unfortunately, Ishtar has not only crept into Christianity, but her name has taken the place of our Highest Holy Day, Passover. In addition, all of her despicable practices have been brought into mainstream Christianity without as much as a question from our Church leaders as to where these celebrations originated from. Clearly, they are not Biblical in nature. As you can see by now, Christ is our Passover, not our Easter. Ishtar (Easter) and her celebrations are not of God, but rather traditions of the church. Traditions that date themselves all the way back to the darkness of ancient Babylon. Why would we want to cast out God and associate ourselves with this pagan founded tradition? You might be thinking to yourself at this point, ‘well I don’t mean anything by my Easter eggs or rabbits. Surely God will understand.’ Will He? Our Father knew that His Word would be twisted into the traditions of man. Christ has truly foretold us all things. You know, we often look back on the people of the Bible and think how stupid they were to worship a golden calf or believe in false gods and those examples go on and on. But are Christians of today any different I would ask? Not once have we read about Easter bunnies or eggs in the Bible, yet many openly embrace them and call it worshiping God. We have thoroughly documented the true origins of Easter and they are not Biblical my friends, think about that… I hope this study has opened peoples eyes to the falsehood of Easter. We have something better, it is called Passover, the true Holy Day of Christ. Not everyone knows that Passover is the highest Holy Day for Christians. A lot of that is because of false teachings. I was one of them, several years ago, until I really started to study the Bible. When Is Passover Celebrated For The Christian? Happy Easter, Passover, and/or just plain Happy Day for non religious folks.